I've seen knitting graffiti adorning trees around Sydney and Melbourne but never crochet. These examples were in Gertrude St, Fitzroy and really caught my eye. 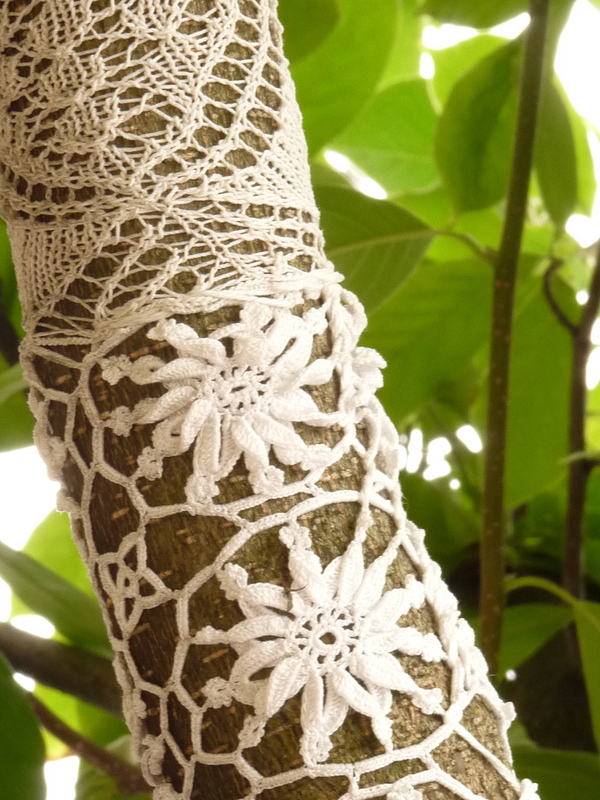 The contrast of the white crochet ( I'm guessing they were old table cloths) against the tree trunks and green leafage was superb.